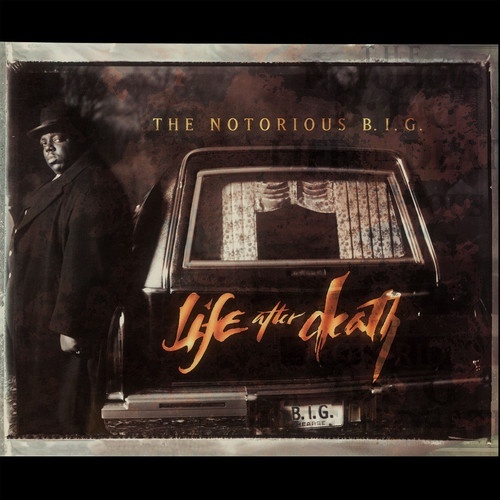 'Life After Death' is the second studio album by The Notorious BIG, originally released on March 25, 1997. The album was released posthumously following his death on March 9, 1997. The album was nominated for three Grammy Awards in 1998 and is considered by music writers as one of the most seminal Mafioso rap albums. The album features collaborations with guest artists such as 112, Jay-Z, Lil’ Kim, Mase, Bone Thugs-n-Harmony and several more. 2017 marks the album's 20th anniversary as well as 20 years since The Notorious BIG's murder. This release has not been in the marketplace for several years and it will now be reissued on black vinyl. Life After Death is a 3LP repressing of the 1997 album.